Disciplinary action is complex. Looking in the dictionary[i] one finds nine definitions for the word ‘discipline’. Interestingly, out of the nine definitions, seven are positive statements discussing improvement and training. Only two mention punishment and correction. This reflects exactly the balance that managers should have in correcting issues in the workplace: most of the effort should go into improvement. It’s only really when things go seriously wrong that punishment or correction should be invoked. Punishment and correction are nonetheless an essential, if seldom used, part of any firm’s management system. To effect punishment and correction, every firm needs a disciplinary policy and disciplinary procedures. 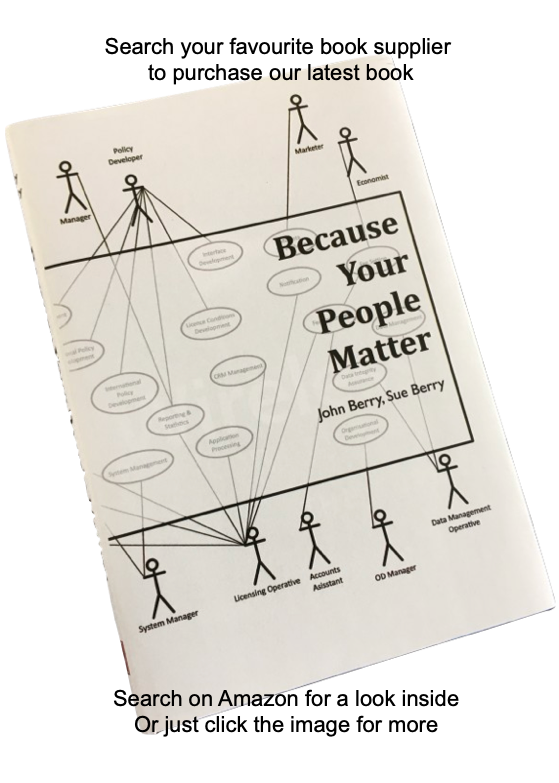 This white paper discusses the situation a manager may find themselves in when faced with a wayward employee. It describes what to do when needing to apply punishment and correction. Sometimes managers are left with no option but to enter a formal process to deal with staff action which is unacceptable. This paper explores how to establish and manage the disciplinary process, both formally and informally. TimelessTime believes that the disciplinary system is separate from those dealing with sickness absence and poor performance and from that used to manage staff grievance. Further comment will be made on this later. Whenever managers enter a disciplinary action they should seek immediate help from a professional HR consultant who has the competence and experience to guide the process. TimelessTime offers such support. Disciplinary procedures have their basis in law. As we discuss in other TimelessTime papers, the employee is assumed weak and the firm strong. Government acts to protect the weak employee by passing laws and developing regulations that govern how the firm can behave towards the employee. If the firm breaks such laws or regulations it could also find itself in breach of trust and confidence. Maintenance of trust and confidence is essential for managers to maintain the right to manage and hence the right to discipline staff. That right is only maintained if managers stay within the law. If breach of trust and confidence is taken to the limit, staff could claim unfair dismissal. Managers should act to protect the firm from this at all times during the process. That said, managers will naturally earn that protection if they behave fairly and reasonably. When an employee joins a firm they are provided with terms and conditions of that employment within two months of joining. This is a legal requirement and effectively signals the two parties entering a formal contract; the employee will provide labour in return for wages. In entering the contract the employee agrees to certain conditions. Note that in reality the contract is entered when the employee starts work and indeed, when offer and acceptance occurs just after interview and selection. The employee then has access to the terms and conditions of the employment and other information in the staff handbook and in the policies and procedures. These documents describe the conditions that the employee agrees to and set the scene for what is, and is not, acceptable behaviour. In summary, the employee and the firm enter a contract. The basic terms and conditions of that contract, like the hours worked and the wages to be paid, are contained in a written document. The rest of the conditions describing expectations and behaviours of the parties are contained in other ancillary documents such as policies and procedures. All firms must have well structured terms and conditions of employment. Without the essential document set, the risks to the firm are heightened. Whilst there is a significant legislation set surrounding employment, it is the information from ACAS that is particularly relevant in disciplinaries. ACAS has developed a Code of Practice for Disciplinary and Grievance Procedures[ii] and it has also developed guidelines. Failure to follow the code and guidelines will not automatically make a firm subject to a tribunal claim. However, should an employee take such action, the Employment Tribunal panel has a legal obligation to take the degree to which the ACAS code was followed into consideration when they make their decision. They have the discretion to increase any award made against the firm by 25% where they believe the firm has been unreasonable in not following the code. If they believe an employee has likewise been unreasonable and has failed to follow the guidelines in the code then any award can be reduced by 25%. This illustrates the importance of the ACAS code and guidelines when undertaking disciplinary action within a firm. Whilst ACAS does give guidance, this is not adequate alone and firms must develop their own policies and procedures. Employment Tribunals take a dim view of firms who say that they will ‘use the ACAS code and guidelines when conducting disciplinaries’. It is essential that the firm has its own processes and that these embrace the ACAS code and guidelines. The information provided in this white paper conforms to the current ACAS code and guidelines. Every firm should therefore have a set of policies and procedures which are to be followed in the event of a formal disciplinary. Where firms do not have their own policies and procedures, they must implement a suitable set and consult these into place before contemplating disciplinary action. Do not commence action without appropriate documents in place. Review your firm’s current procedures to make sure they are compliant and current or write a procedure if one does not exist. TimelessTime consultants can assist in this. We cannot over-emphasise this point since it forms the foundation for a successful disciplinary and return to normal working in the firm. There are two distinct types of behaviour which motivate managers to take action against an employee. The first is capability and the second is conduct. Capability is “assessed by reference to skill, aptitude, health or any other physical or mental quality”[iii]. Conduct is defined as “something which an employee does or fails to do knowingly in circumstances where management genuinely believes on reasonable grounds after appropriate investigation that the person is capable of carrying out the job satisfactorily”[iv]. Capability is about ability. Conduct is about behaviour. Put simply the difference is ‘can’t do’ as opposed to ‘won’t do’. The latter is a conduct issue and it is this to which this paper refers. This paper is therefore about behaviour and ‘won’t do’. We discuss capability and ‘can’t do’ in other papers and blogs. Capability needs an improvement approach. Behaviour needs a disciplinary approach. Every employer has the right to manage his or her firm. Every employer has the right to dismiss an employee if this is the correct response to a disciplinary issue. The problem comes when an employer does not act reasonably. There is no definition of what is and is not reasonable behaviour, so it’s impossible to give a definitive answer here. The idea of reasonableness is something that is learned by society as a whole. Ultimately therefore reasonableness is tested in an Employment Tribunal. Managers need guidance now, not after they have been through a tribunal hearing. This paper embraces past tribunal judgements and develops ideas on what is and what is not reasonable in disciplinary action. By following the guidelines here, managers will be unlikely to make mistakes and hence will be unlikely to be judged ‘unreasonable’. This paper will also help in understanding what a tribunal will check for should a case be taken. Ensuring that the firm’s procedures follow the ACAS Code of Practice will be a positive aspect, leading in turn to a greater likelihood of a tribunal finding in favour of the firm, should an employee make a claim against the firm. There are two clearly distinct ways of proceeding: informally and formally. Informal proceedings are the normal management actions where manager and employee sit down together to discuss issues about behaviour. Formal proceedings are announced as such, are minuted and follow a prescribed agenda. It is always best to try to resolve issues informally if possible. The ACAS code states that the employer and employee should try to resolve disciplinary issues in the workplace as soon as possible. Often issues can be resolved through workplace mediation. So, how does the firm use informal and then formal proceedings? In the work situation the manager has the right to have one-to-one informal discussions with any member of their team at any time on any subject. It is quite in order to have informal discussions to explain that behaviour is unacceptable and that it must improve. Clear guidelines can be laid down and the employee advised that if the inappropriate behaviour continues then formal action may have to take place. In many cases informal discussions will solve the problem as the employee becomes aware their behaviour is being checked. We have written elsewhere in White Papers and blogs on approaches to informal discussions and we teach these approaches in TimelessTime training. Formal proceedings are a different kettle of fish!! Formal proceedings involve letters and other formal communications, meetings and investigations. Managers must never invite an employee to a meeting saying it is ‘formal’ unless they have followed the proper process. To do so will mean that the firm is unlikely to win should a disgruntled employee decide to make a tribunal claim. Formal meetings must be planned in advance, a letter must be sent inviting the employee to the meeting. They must be advised what the meeting is about, any documents which are going to be used in the meeting must be shared in advance, and they should be given the right to have a companion in the meeting to support them. To avoid doubt, we consider that a letter delivered by first class post is an adequate way of inviting an employee to a meeting. A poor second favourite is to send them an email. There must be a good chance that the employee receives it and that they acknowledge its importance. Never use text messaging or social media to make the invitation. Disciplinaries are nasty affairs. It is always worth managing situations to avoid getting into disciplinary. A good avoiding strategy is to ensure good employee commitment and engagement with their job in the first place. Under this strategy, the energy that might have to be put into disciplinaries is put instead into working with employees to build the psychological contract. However, if we assume that despite good management, a disciplinary is still necessary, what might the strategies be? 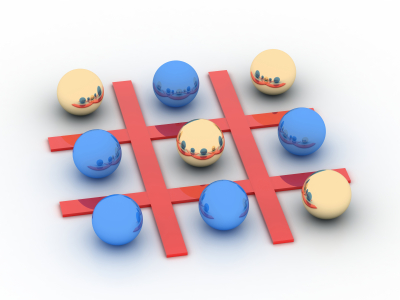 A disciplinary process is like a game and game theory applies. Wikipedia gives a good overview at http://en.wikipedia.org/wiki/Game_theory. In game theory the parties (management and employee) ‘play’ basing their own actions on their prediction of the actions of the other. It is essential that management consider the various outcomes of the disciplinary and the actions that the accused employee might take. Take the following example. Round 1: employee is found to be under the influence of drugs at work and is to be disciplined. Employee is suspended pending investigation. Disciplinary meeting hands down a sanction of ‘final written warning’. This is upheld at appeal. Round 2: employee responds with claim of breach of trust and confidence and instructs a solicitor to go for a case of constructive dismissal. Firm responds with ‘we look forward to your return to work’ since of course the sanction was only a final written warning. Round 3: employee goes off with work-related stress. Three months absence and copious doctor’s notes in support. Firm invokes independent medical review. Review supports the firm. Round 4: employee claims her stress condition is covered by the Disability Discrimination Act 1995. Employee’s solicitor sets out a large financial settlement that his client would find acceptable in return for a Settlement Agreement. Firm maintains ‘we look forward to your return to work’ and holds its nerve. Round 5: employee and her solicitor realises futility and settle for contractual notice and a modest pay-off in return for a Settlement Agreement. Game over. Employee leaves. Whilst this might appear a little extreme, it is a true case and serves to show where a simple disciplinary can end up. It is impossible to tell how disciplinaries might develop. In many cases, the employee returns to work normally and the issue is forgotten and the offence never repeated. In others the employee leaves voluntarily. But in many others the bitterness continues and one disciplinary spawns another. There are several people involved in the disciplinary process. The different roles are discussed below. The action they take during the process is covered in the relevant section of the process later in this paper. We suggest that these are the only roles that exist. Don’t allow the situation to be complicated by allowing others such as family friends, lawyers or other third parties in to meetings and to share in the process. The person charged with this role is responsible for gathering all the facts and evidence about the conduct or behaviour that has taken place. They should be as independent as possible and chosen because they are capable of working impartially. They should take comprehensive, relevant notes. The Investigating Officer will normally be an employee or an HR Consultant. The person who is suspected of having done something that may require disciplinary action. They have the right to put forward their case and explain their actions. They have the right to be treated fairly and reasonably. They have the right to know in advance the procedure that will be used to investigate and ultimately lead to reasonable belief of their guilt. The person to whom the employee reports is normally the person who runs with the initial disciplinary meeting. It is this person who, based on the information shared in the meeting, makes a decision about the outcome. Never have the line manager’s boss or senior manager do the disciplinary. He or she must be available to hear the appeal. Where an employee appeals against the decision made in the initial meeting it is normal for a more senior manager to hear the appeal. In some cases where the firm is small this may be the Managing Director. Small firms quickly run out of managers and TimelessTime consultants can act in this role if not already taking some other role. 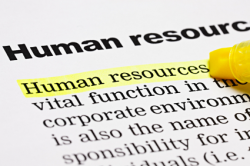 Where a company has an HR Manager, they will have has several responsibilities. They must also interpret and apply company policy. They must ensure that company policies and procedures are applied fairly across the whole organisation. Where a firm does not have an HR Manager this role will be fulfilled by whoever is responsible for people management. TimelessTime consultants are able to take this role. Before any formal meetings, letters must be sent out. During the various disciplinary meetings the HR Manager will ask questions and seek clarification (along with the Chairperson), ensuring that the Chairperson has all the necessary information to make an informed decision. They will also act as note taker along with the Chairperson to ensure that accurate notes are recorded. After the meeting it is the HR Manager’s role to send a letter to the employee explaining the outcome of the meeting. The letter must also include all the relevant information required to confirm with legislation. This will be covered in the section of this paper dealing with the process. The following parties may be in the background but do not appear at meetings and do not receive communications directly. The firm’s HR Manager may elect that specialist employment or commercial law assistance is needed. Whilst most HR consultants are as qualified in employment law as many employment law solicitors and as knowledgeable as many company lawyers, sometimes additional help is needed. This is particularly so when the disciplinary action is to be taken against a director and shareholder or where the individual has a particular hold over the firm, perhaps owning intellectual property. The firm’s legal support supports the HR Manager. Every firm should assume that the employee who is being disciplined will instruct a solicitor from an early stage in the procedure. Make that assumption even if you suspect that this is not the case or even if it is unlikely that the employee could afford a solicitor. Many household insurance policies will cover advice and many employees have access to assistance programmes. Employees will also turn to Citizens Advice Centres when faced with disciplinary action. The firm has no need to communicate with the employee’s legal support, even if so requested. A disciplinary is a wholly internal affair. The role here is to lead the meeting ensuring that the correct meeting procedure is followed. This role is normally taken by the Line Manager in the first formal meetings and by the Senior Manager at appeal. The Chairperson is also responsible for ensuring that, by asking open, probing questions, all the relevant information is discussed in the formal disciplinary meeting. They are also responsible for ensuring that the information gleaned is fully understood as it is upon this that decisions will be made. Where a disciplinary meeting could result in formal action or dismissal there is a statutory right for the employee to be accompanied. This generally means accompaniment as soon as the process becomes formal. The Companion can be a work colleague, a trade union representative or an official employed by a trade union. Where the trade union representative is not an official they must be certified by their trade union as competent to act as a companion. It is normal for the employer to include a phrase in the letter of invitation which confirms the statutory right to have a companion in the meeting. The employee must be reasonable in their request to be accompanied. They are not able to use choice of companion as a means to hold up the proceedings. Also if they request a companion that would prejudice the meeting then the firm has the right to refuse this person as Companion. Examples of this would include a solicitor appointed by the employee, a family member or other biased third party. 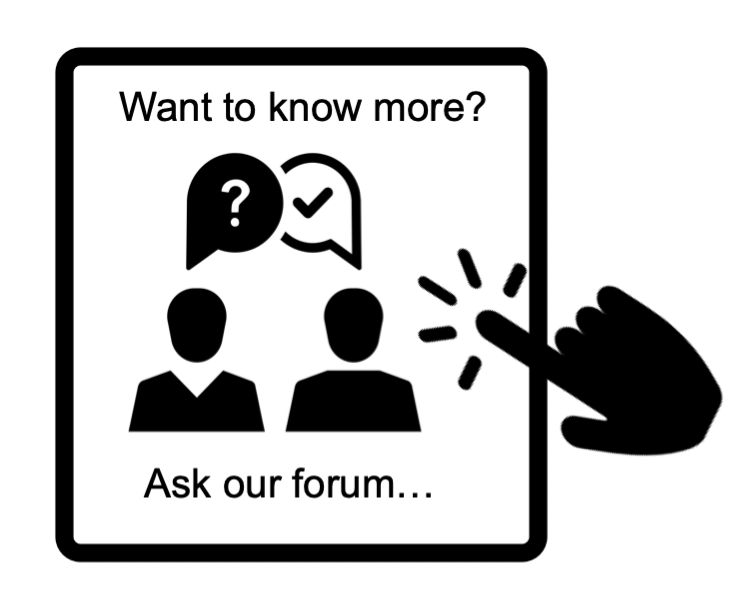 The companion does not have the right to answer questions on behalf of the employee, nor do they have the right to stop the employee answering questions. The companion is normally allowed to put the employee’s case and sum up on their behalf provided the employee agrees to this. They should also be allowed to respond on behalf of the employee to views expressed by the Line Manager or HR Manager in the meeting and they should be allowed to confer with the employee during the meeting. There may be occasions when it would be appropriate for someone outside the firm to become involved in the investigation stage of the disciplinary process. This option may be appropriate if the firm is very small and does not have enough senior managers to be able to run the investigation, disciplinary meeting and appeal meeting with different people. Where an external consultant is used for the investigation phase it is the firm’s responsibility to ensure that a fair and reasonable process is used. The firm will be responsible for inappropriate or discriminatory behaviour if the investigation is not conducted properly. Liability does not shift to the external consultant. Ensure that the external consultant has appropriate training, understands what is involved in the investigation process and that they follow the firm’s procedures. Many firms get confused and believe that disciplinary, performance improvement, absence management and in some cases even grievance are all the same thing and use a disciplinary procedure for all. This is wrong. Above we distinguish between disciplinary, improvement, sickness absence and grievance. We consider these as separate processes. The following section comments on linkages between the different processes. Absence management relates to the capability of the person – their inability to work due to ill-health. Dealing with capability and sickness absence under the disciplinary procedure automatically suggests negativity. Employees are being ‘disciplined’ for being unable to perform their roles due to something which may be beyond their control – inability to perform at the level required or inability due to sickness. These issues should be managed by the firm (sooner rather than later) but management should be done through the following positive action systems . A Performance Management System which encourages and supports the acquisition of new skills to facilitate an increase in the level of performance. An Absence Management System designed to proactively manage both short and long term sickness absence. These are the subject of separate white papers. In addition a separate Grievance Procedure should be used to manage instances where employees believe that they have been wronged by a manager or colleague. The process discussed here conforms to the minimum requirements of the ACAS Code of Practice for Disciplinary Procedures. This includes the following steps. Any issue should be raised as soon as possible after the offence has take place. It should be dealt with promptly and there should be no unreasonable delay in setting meetings and making decisions. Investigations should be carried out to establish all the facts and gather evidence related to the issue. A formal meeting should take place with the employee so that they have chance to put their case before any decisions are made. 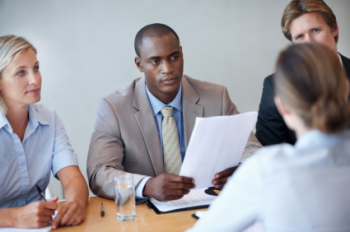 Employees can be accompanied at any formal disciplinary meetings. Employees should be able to appeal against the formal decision. Ultimately, assuming the employee is believed to be guilty of the alleged offence, management will issue some form of sanction to effect corrective action or to dismiss the employee from his or her employment. The levels of permissible sanction will be determined by the firm’s own procedures. The details here explain the statutory minimum required within a procedure. Formal meeting – sanction of dismissal. Sometimes verbal warnings are also given but this is just another form of written warning (since it has to be advised to the employee in writing). It is often placed in order of severity below first written warning, effectively adding another step into the whole disciplinary process. There is no requirement to work up through the levels, starting with informal, then first written, final written and then dismissal. If the severity of the offence merits a sanction of dismissal, then the firm can move straight to that level. We urge all firms caution here. It is absolutely essential that procedure is followed and that the firm’s Disciplinary Procedure spells out the way in which the offences, levels and sanctions will be used. There is always a range of sanctions that an Employment Tribunal would consider appropriate for a given offence. For example, whilst dismissal may be possible for the offence of being under the influence of drink or drugs at work, the tribunal may take a dim view if the firm moves straight to this sanction for a first offence. We urge caution wherever dismissal is contemplated. Managers should get assistance from an HR consultant. Before any disciplinary action takes place it is important to establish if there is evidence to suggest that disciplinary action is appropriate. It is the information and evidence gathering stage of the process. It does not presume guilt. It simply serves to establish if the claimed offence occurred by unearthing fact about the offence and its context. The ACAS code suggests that “where practicable” different people should carry out the investigation and the disciplinary meeting. In a small firm this is not always possible. What is important is that the investigation stage is conducted with an open mind and all relevant information is gathered irrespective of what it might suggest. How should investigations be conducted? There are occasions where it will be appropriate for an informal investigation meeting to be held with the employee suspected of the inappropriate action. It is important to remember that this is an information gathering step and not a meeting which will result in disciplinary action or an accusation of guilt. This point must be made and recorded in the meeting minutes. The investigation stage may also require evidence to be gathered from witnesses in a series of Witness Statements. Where possible this information should be from a named person. Witness Statements must be shared with the accused employee. The statements should be signed as a record of the facts based on what each witness believes to be true. The information in the statements will be used in the disciplinary meeting to suggest questions to illicit further information and will be used to inform a decision. Sometimes the people giving evidence in Witness Statements will not wish to be identified as they are uncomfortable about possible reprisals. Where it is deemed necessary, Witness Statements can be given anonymously. This must only be done as a last resort and only with good reason. If an investigation meeting is to be held with the employee they should be given time to prepare and invited to the meeting in advance. It should be stressed in the invitation that this is an informal meeting to gather facts and that no decision will be made. There is no statutory right to have a companion at an investigation meeting. Whether or not someone is allowed to accompany the employee will depend on the firm’s procedure. According to ACAS the investigation step is not always needed. We however caution that it is always good practice to go through the process of investigation even if the evidence is compelling. Witness Statements should always be taken where possible. Sometimes the actions of the employee may be so severe that suspension from work may be appropriate to allow an investigation to be undertaken. Suspension does not imply guilt and there must be no supposition of guilt at this stage. It should be used only in exceptional circumstances, for example suspected fraud, theft, severe intoxication, accusation of any form of racial or sexual harassment or where criminal proceedings may follow. Suspension would normally only be considered for allegations which fall within the category of gross misconduct. Any period of suspension should be as short as possible and must be paid time off. Whilst paying wages during investigation may rile managers, it is what must happen. The suspension is not a disciplinary sanction and it is not disciplinary action. If payment or any other benefits are withheld then disciplinary action has been taken before an investigation and a formal meeting have been held. This would automatically be unfair meaning that the employee would have every right to take a tribunal claim – and they would likely win!! Suspension is not a sanction. Careful consideration must be made before suspending an accused employee. There must always be good reason. Suspension MUST be with pay and be for as short a time as possible. The firm must continue to communicate effectively with the accused employee during the period of suspension though there is no need to divulge findings until the invitation to the formal meeting that follows the investigation. The investigation phase of the process is outside the formal procedure. The information collected in the investigation should be restricted to facts and evidence. It is not acceptable to have information which is supposition, a belief or an evaluation. Evidence must be recorded in writing and in written Witness Statements. It’s important that the investigation ensures all relevant facts have been gathered before any meeting takes place. Where this doesn’t happen it is likely that new information will be unearthed during the formal meeting. This will require an adjournment to consider new information presented by the employee. Where necessary, the new information may require a further investigation. All staff involved in the meeting should be briefed and trained beforehand, so that they understand their role. Tribunal claims often succeed even though the firm is in the right simply because procedure was not followed and staff were incapable of carrying out their role correctly. It is important that the person tasked to take notes is able to capture all the salient points as this will be the firms’ record of the meeting. The employee is of course also permitted to take notes of the meeting. The meeting venue should be a private room where the conversation can’t be heard outside. Any phones in the room should be switched to silent or diverted to avoid interruption. When setting the time and date ensure that enough time is allowed for the meeting. Whilst disciplinary meetings normally take no more than one hour it is advisable to allow two hours. Once the meeting has started it cannot be stopped simply because an attendee has to go to another meeting or because someone else has the room booked. We do not advocate recording meetings with audio recording equipment and we certainly advise strongly against covert recording. In any case covert recording will be inadmissible in the event that a tribunal action follows. The Chairperson should state that no audio recording is taking place and ask the employee to declare likewise for the record. An invitation to a meeting must be made in writing and the person given enough time to prepare. This means that at least three working days notice should be given. It is normal to provide copies of any documents which are to be used in the meeting. This includes Witness Statements and the written report of the investigation. The letter should include the date, time and venue for the meeting. It should also advise who will be conducting the meeting. The reason for the meeting should be explained and the accused employee’s right to have a companion present should be stated. The letter should also include a date by which the accused employee should confirm their attendance at the meeting. An employee has a right to say they can’t make the meeting if their chosen companion is not available. This must not however be used as an excuse for not conducting the meeting. Where someone exercises their right to postpone the meeting it is beneficial to agree to this and reschedule. The ACAS guidelines state that the employee “may offer a reasonable alternative time within five days of the original date if their chosen companion cannot attend”[v]. Send out the same letter again confirming the new date. Should the person again refuse to attend again it would not be out of order to advise them that the second meeting will still go ahead even without them present. Advise them that all evidence available to the Chairperson will be considered before a decision is made. It is important to hold the meeting even if the employee does not turn up. If a meeting is not held, any decision subsequently made will fall outside of the statutory process and would not stand in a tribunal. The meeting should be held as soon as possible after the investigation, or the unacceptable conduct or behaviour if no investigation is needed. The following agenda can be used to ensure that all points are covered in the meeting. Everyone should be introduced and their roles explained. Explain the reason for the meeting. Explain the purpose of the meeting spelling out the accusation made against the employee. Tell them that a decision will be made after the meeting based on the facts discussed in the meeting. Explain that should any disciplinary action be taken it will be done in line with the firm’s disciplinary procedure. Run thought the process to be followed in the rest of the meeting: discussion, questions, possible adjournment and decision. Explain that adjournments can be called. If the employee wants to have a break in the meeting they have a right to do this to confer with their companion. Likewise, the Chairperson can ask for an adjournment if this becomes appropriate. The employee should be able to put their case regarding their conduct or behaviour and should be able to ask questions of their Line Manager and of the HR Manager. They should also be able to raise points and disagree with points they believe are inaccurate. Where they disagree they should support with other evidence.This part of the meeting is a two-way discussion. Both parties will be asking and answering questions in order to establish and understand all the facts.It is important not to make decisions at this stage or to become embroiled in arguments. If necessary call an adjournment to calm the situation down and reconvene after fifteen or thirty minutes. At the end of the meeting summarise all the points raised in the meeting and the evidence put forward. Ask the employee if they have any other points they wish to raise and gain agreement that the summary is accurate. In the event that no agreement can be gained, record both parties’ views and note that there was no agreement. If the employee provides information that can be quickly checked an adjournment may be appropriate. This adjournment may be for a short period of time (e.g. half an hour) or it may be longer where more investigation is needed. This may result in the meeting be reconvened on another day. If there is enough information presented and discussed in the meeting to allow a decision to be made an adjournment may take place with the meeting reconvened to give the decision. The decision will be made as a direct result of information presented and discussed in the meeting (and subsequent investigations and meetings if appropriate). The decision may be that no further action is needed and no warning will be given. Alternatively a warning may be given. The level will depend on the firm’s procedures and the severity of the conduct. If the outcome is dismissal this can only happen if the conduct falls under gross misconduct, or the disciplinary process has been escalated to the last level available to the firm. It may be possible to advise the employee of the decision after an adjournment to give time for the Chairperson to consider all the facts. On the other hand the Chairperson may elect that they need some time to digest the information before reaching any conclusion.Where a decision can be made after a short adjournment the employee should be advised of the outcome and the action to be taken explained. Where additional time is needed to consider all the evidence the employee should be given a date by which they will be advised of the outcome and the method that will be used to do this. Do not advise the employee by telephone or email but you can advise them by letter rather than hold another formal meeting.Where a sanction is given, the employee has a right of appeal, and they should be advised on this fact at the end of the meeting. They should also be advised in the letter sent to them after the meeting. This is dealt with below. The sanction given following a disciplinary meeting can range from a verbal warning to dismissal. Dismissal is normally reserved for cases of gross misconduct or a series of related issues which have resulted in several disciplinary meetings, each issuing a progressively higher level of sanction. When decisions are made care must be taken to ensure that sanctions given are in line with previous similar cases. It’s important to ensure a consistent approach to avoid accusations of victimisation when a severe sanction is given. Sanctions can also include a change in working hours, change in the place of work or change in role including demotion. Again any sanction must be in line with company procedures. It is normal to list examples of sanctions and offences in the firm’s Disciplinary Procedure. Any sanction given must be in line with the firm’s own disciplinary procedure. Make sure sanctions are consistent for cases of a similar nature. We discuss elsewhere in White Papers and blogs the nature and scope of documentation such as employment contracts, staff handbooks and company policies and procedures. Any of these documents might be used to state scope of offences and sanctions. Where a sanction is issued the employee has the right to appeal the decision. When the employee receives the letter confirming the outcome of the initial meeting this should include a section advising that they can appeal within five working days and the person to whom they must appeal. A further meeting must then be held as soon as possible to hear what the employee has to say. The meeting must be run in the same way as the initial meeting. The employee will explain why they are appealing and may produce new evidence to support their case. If the new evidence requires further investigation then this must be done before any decision is made. The employee has the right of appeal and the right to be heard again even if there is no new information. The decision of the original meeting may be upheld or overturned or and the sanction increased or decreased in severity dependent upon the information discussed in the appeal meeting. Once the final (post-appeal) decision has been made it must be shared with the employee as soon as possible and confirmed in writing. The appeal meeting must be chaired by someone who was not involved in the original disciplinary meeting and they should also be more senior than the person who conducted the disciplinary meeting and who made the disciplinary sanction decision. This means that in small firms the managing director or principal may be the person who hears the appeal. In very small firms, it may be necessary to draft in an HR consultant to hear the appeal. When writing a disciplinary procedure for a firm, consider who will hear appeals. This will influence in turn who can hear initial cases. The timescale in which to appeal and who to appeal to. The letter should be sent to the employee as soon as possible after the meeting. If there is a need to conduct further investigations then a letter should be sent to the employee explaining this and suggesting when the decision is likely to be made. As we note above, do not communicate verbally, by text message or by social media. The preferred method is by first class post and in cases where there is doubt about mail receipt, by registered post or by hand. Email is a poor second choice since receipt is not assured and nor is confidentiality. Generally, disciplinaries only occur once every few years in a well run firm. That means that managers are unfamiliar with the procedures. Since disciplinaries are also confrontational, with significant risk of damages being awarded if processes are not followed, the interpersonal skills needed are also often missing from managers’ tool kits. It is therefore essential that managers running disciplinaries are trained by competent HR consultants – even if a HR consultant is to take a role in the proceedings. There must be no mistakes. This extends also to the appeal. There is significant scope for error in disciplining staff. In this penultimate section we discuss some of the issues. By far the most common error is not following the firm’s procedure. The Sharon Shoesmith affair was just one such case. Sharon Shoesmith was employed as head of children’s services at Haringey Council and was indirectly held responsible for Baby P’s death. The then Children’s Secretary, Ed Balls, publicly announced her ‘sacking’. Haringey Council therefore went straight from accusation to dismissal in one step. They did not follow procedure. Sharon Shoesmith won around £600k after Employment Tribunal, Employment Appeals Tribunal and Supreme Court hearings. Whether she was guilty of the offence (of negligence resulting in Baby P’s death) is irrelevant. Haringey Council did not follow procedure and her dismissal was automatically judged unfair. She was therefore rightly awarded damages. This is possibly the highest profile unfair dismissal case of recent times. It illustrates the severe penalties on a firm if procedure is not followed. Need we say more? Often when management advise an employee that the firm will invoke the disciplinary procedure, the employee responds by raising a grievance using the firm’s grievance procedure. This is quite normal. It is the employee’s way of claiming they have been wronged and it is management that is at fault. The ACAS code of practice suggests that where an employee raises a grievance at any stage during the disciplinary process it may be appropriate to put the disciplinary procedure on hold and deal with the grievance first. If there is a link between the grievance and the disciplinary process then it is possible that both processes may run concurrently. The firm will need to determine the best course of action in order to deal with both. When an employee attends a disciplinary meeting they are likely to be defensive and may become angry and upset. It is important for the Chairperson to stay calm and to try to diffuse any tension that arises. This may mean adjournments for a short period, or the rescheduling of the meeting to another time. The Chairperson (and the HR Manager if present) should be ready for literally anything. In extreme cases chairs have been launched at representatives of management present and employees have landed punches. In milder cases, employees are very likely to walk out or to dissolve in floods of tears. The Chairperson and HR Manager should remember the stress that the employee is under – many will suddenly go off sick with claimed ‘work based stress’, escalating the proceedings to a combined disciplinary and sickness absence. When commencing disciplinary proceedings, management should think through outcomes and assume the worst. The Disability Discrimination Act 1995 (DDA) defines a disabled person as someone “with a physical or mental impairment which has substantial and long-term adverse effect upon his ability to carry out day-to-day activities”. Discrimination occurs when someone is treated less favourably without any justification. Under DDA employers must make reasonable adjustments to ensure that there is no risk of unfavourable treatment. When dealing with a disciplinary situation it will be appropriate to ensure that reasonable adjustments have been made and that the behaviour or conduct is still unacceptable. In this case disciplinary action is justified. Where DDA may be an issue, seek professional advice from an HR consultant before taking disciplinary action. Stress is a disability. As we note above, employees being disciplined will often play the ‘stress card’. Great care is needed because as soon as the case involves DDA, the financial stakes are heightened. If, as a manager, this is all foreign to you, get help! Contact us. In conclusion, we would remind all managers that there are several hurt parties here. The accused employee is hurt because they can’t have their own way and are subject to the firm’s conditions of employment, one of which is agreement to succumb to disciplinary procedures. In extreme cases they may be determined to redress the balance in some way by hurting the firm. The Line Manager is hurt because the relationship between Line Manager and sanctioned employee is now damaged and may never be repaired. The Line Manager will now have to put disproportionate energy into that relationship to motivate and control the employee. The Senior Manager is perhaps questioning the Line Manager’s abilities to recruit, select and manage their staff. The relationship between the Senior Manager and the Line Manager is damaged. Colleagues of the sanctioned employee are aggrieved because they see that their friend has been disciplined. They perhaps view the sanction as disproportionate particularly because they were not aware of the confidential facts of the investigation and disciplinary meetings. Customers are perhaps hurt in the event that the affair came to their notice. Depending on the sanction and the success management has in effecting subsequent control, customers may be aggrieved because they see a firm that does not control its staff. They could find a new supplier. The aftermath of a disciplinary needs huge energy to overcome damage. Colleagues of the sanctioned employee need talking to in order to help them understand. Details can’t be divulged of course. The Line Manager and Senior Manager need to have a few heart-to-heart meetings to discuss what happened and how to prevent such things in the future. Customers need to be placated. And finally the sanctioned employee needs careful management. There is only one person in the whole affair that has the overview and can recommend action to overcome future issues: the HR Manager. TimelessTime has the competence to manage complete disciplinary proceedings and to help everyone manage the aftermath. Contact us today for a no-obligation discussion.